The Chebeague Kayak was designed to offer a quick comfortable getaway for a broad range of paddlers. Its namesake is an island located in beautiful Casco Bay, Maine. Chebeague Island is a great place to visit or vacation, and may visitors enjoy its easy access. 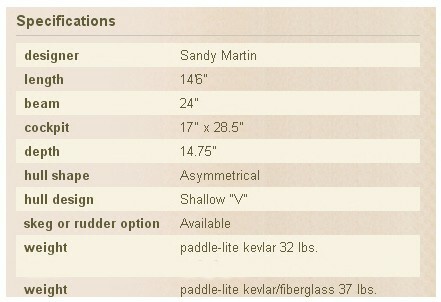 Despite its hull size, the Chebeague has features you’ll find on some of the larger kayaks manufactured today. A roomy cockpit, bow and stern compartments, and a wicked light-weight, fast, stable hull design, make this kayak the perfect coastal cruiser.